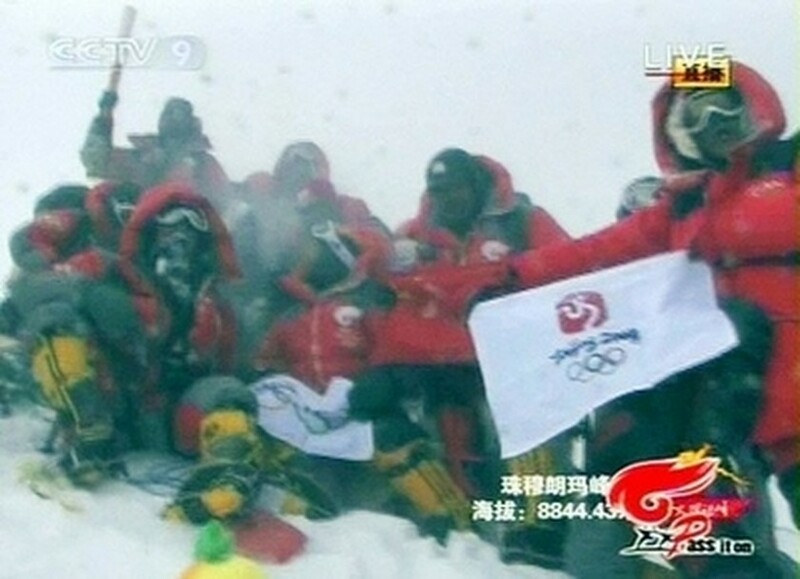 Chinese climbers carrying the Olympic flame reached the summit of Mount Everest on Thursday, state television showed, in an historic moment for China exactly three months ahead of the Beijing Games. Tibetan female climber Cering Wangmo reached the summit with a special extreme-altitude Olympic torch in what China has billed as the high point of its controversial torch relay, the longest and most ambitious of all time. "Beijing welcomes you!" 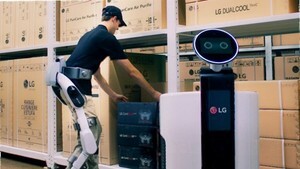 team members said as they stood at the summit celebrating, with the events broadcast on national television. Others shouted: "We are on top of the world! ", and "One World, One Dream", the official slogan of the Beijing Olympics. The team of climbers who relayed the torch the final metres to the summit also unfurled smalled banners showing the Olympic rings. The team had set out six hours earlier for a final push to the 8,848-metre (29,198-foot) Himalayan peak in an event that had been delayed for about two weeks due to adverse weather. China had deployed huge security teams for the flame's ascent. Climbing expeditions from both Everest's Tibetan and Nepalese sides had been banned to prevent any disturbance of the summit attempt. Officials organising the trek up the peak had earlier set an April 26 target to begin the ascent, but high winds and heavy snow had delayed the mission.